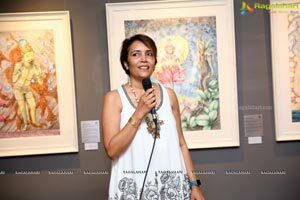 Hyderabad, 30 June, 2018: Kalakriti Art Gallery presents 'Ikshana' by Singapore based artist, Anuradha Kabra showcasing her recent series of artworks. 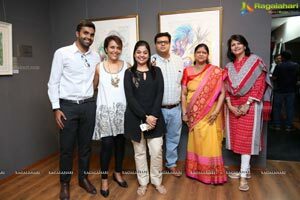 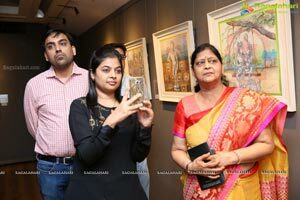 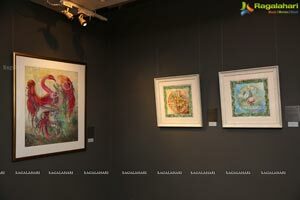 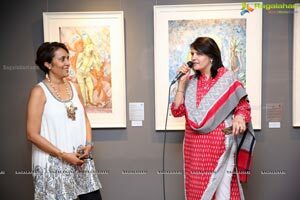 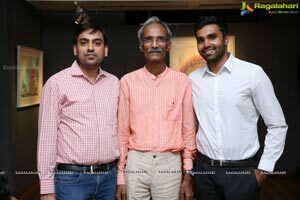 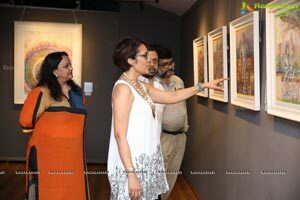 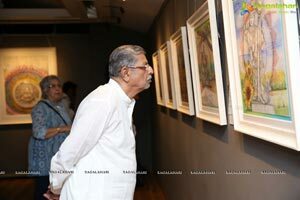 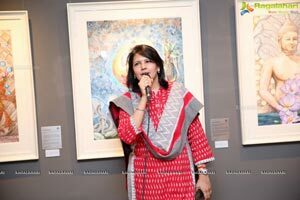 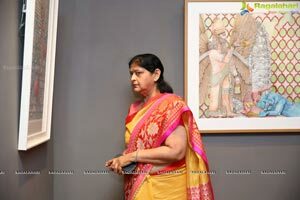 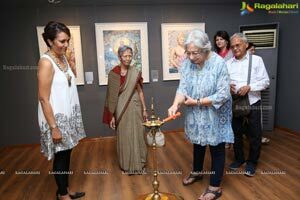 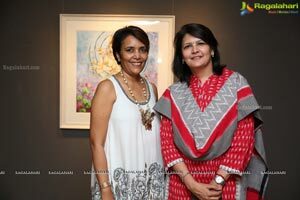 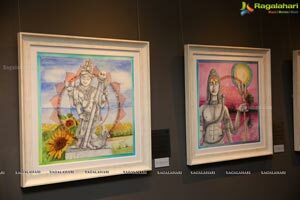 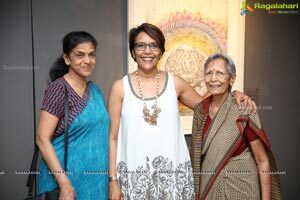 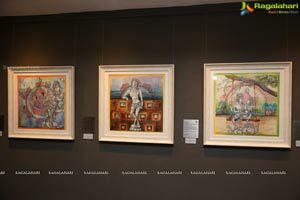 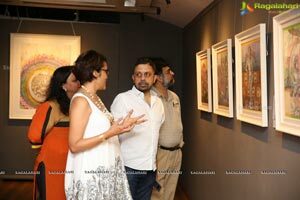 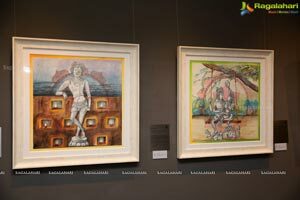 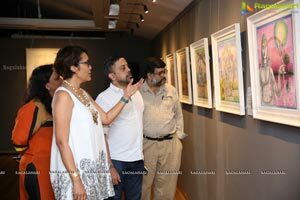 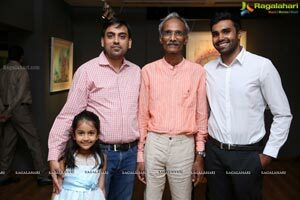 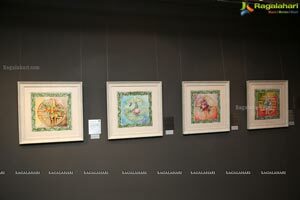 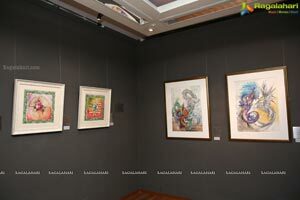 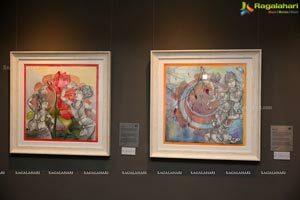 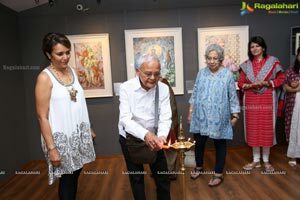 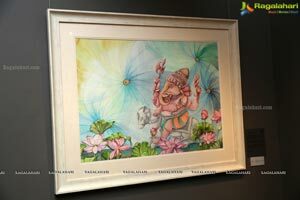 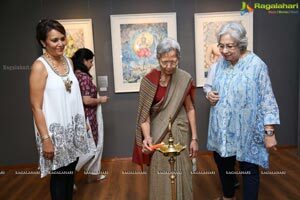 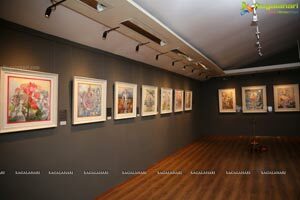 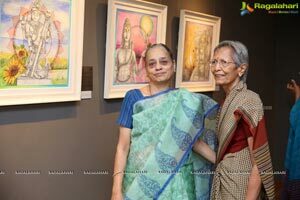 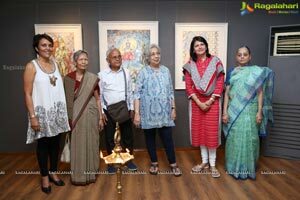 The show was formally inaugurated at Kalakriti Art Gallery (468, Road No. 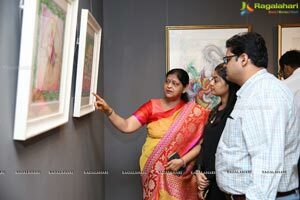 10, Banjara Hills) at 6.30 pm on June 30 (Saturday) and will be on everyday from 11 am to 7 pm till July 29, 2018. 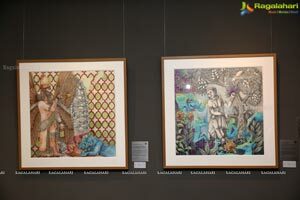 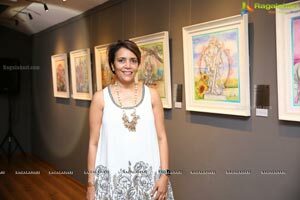 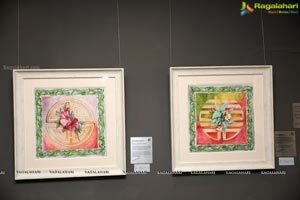 The exhibition takes into account the inspiration as well as the influx of people from different cultures, has had on Anuradha Kabra. 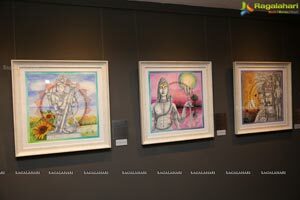 Artist, states it gave rise to a deep sense of respect and interest in learning more about what shaped them to becoming a race with common beliefs which tied, and connects us all together which is absolutely divine. 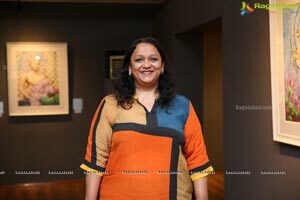 Bringing in more depth into her practice and making them more meaningful is what excites her. 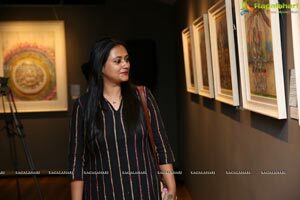 Growing up in the influence of the famous Zoologist, Reuben David, had intrigued her with the life of animals and how they inhabit and are so integral to our lives. 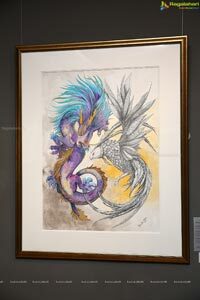 My love for animals influenced and still continues to influence the artistic ventures. 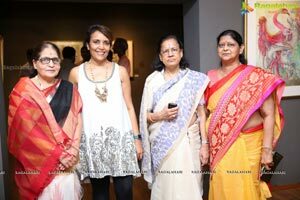 Anuradha states -1 realized that India was not the only country with a rich history, mythology and colourful traditions and I started exploring the roots of other cultures. 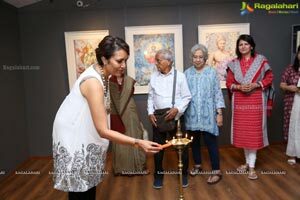 I was so excited with every new experience and wanted to put it together as a celebration of us as a human race. 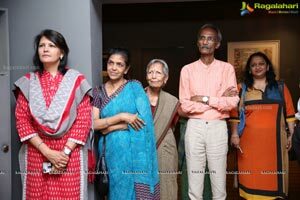 In-spite of geographically so far apart, there is a common thread which binds and connects us all together which is absolutely divine. 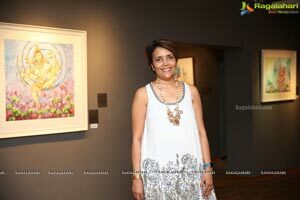 Originally from Jodhpur (India), Anuradha Kabra has made Singapore her home since the past decade. 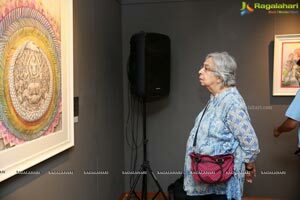 Her informal education in art & music started from a very young age from her mother, Kamla Kabra and father, Brijbhushan Kabra both well-known artists. 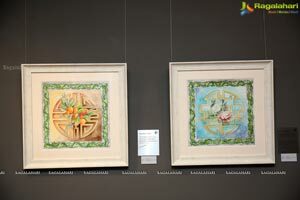 Her love for the vibrancy of Van Gogh's work & the precision of Escher led to her evolving her own unique style of blending pencil with vibrant water-colors and chalk pastels on paper. 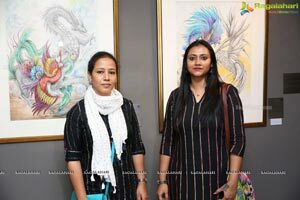 She wanted to give a deeper spiritual meaning to her creations and this gave rise to artwork depicting the harmony, balance & duality in nature. 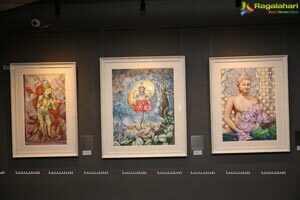 Her current works explore the synthesis of culture with faiths and beliefs. 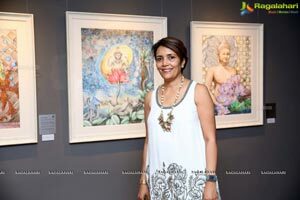 She has successfully exhibited in group & solo shows in Singapore and was the exhibiting artist at the Indonesian Economic Forum in Jakarta in 2016. 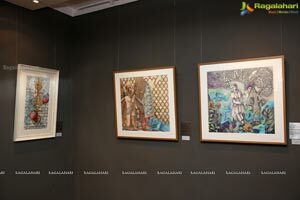 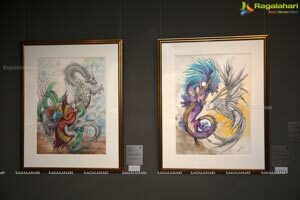 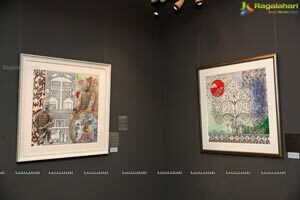 Her last show was at the Affordable Art Fair in Singapore in collaboration with Eyemage Art Gallery, Singapore.